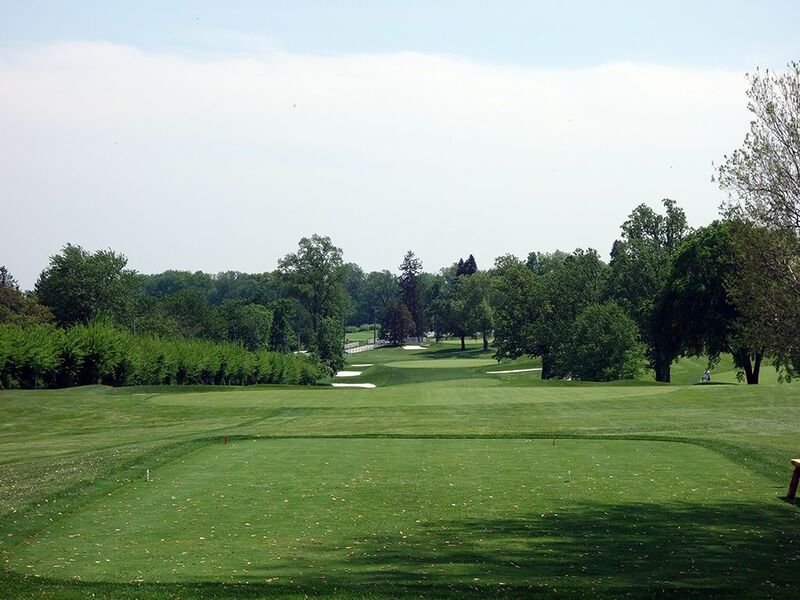 Course Website: Official Website - Visit Baltimore Country Club (East)'s official website by clicking on the link provided. 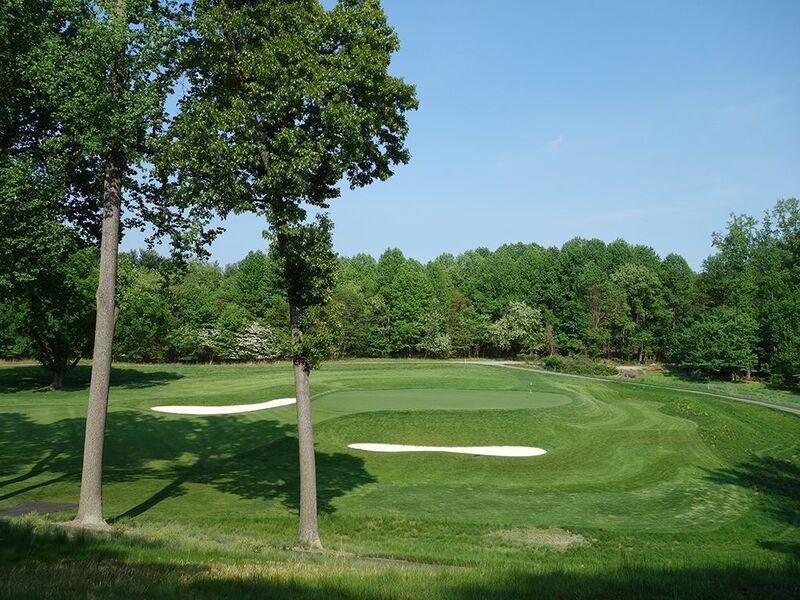 Accolades: Ranked 2nd in Maryland on Golf Course Gurus' Best in State list. What to Expect: While A.W. 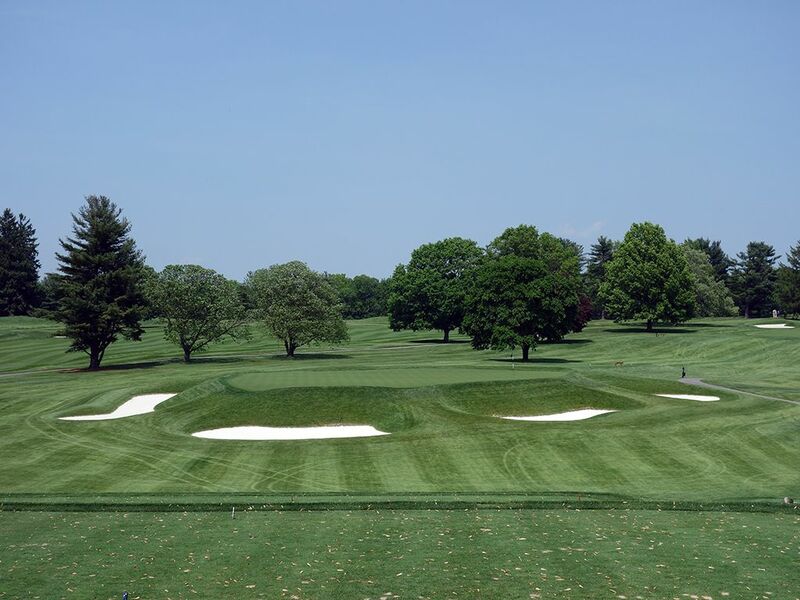 Tillinghast is best known for his work at Baltusrol, Winged Foot, and Bethpage, his design at Baltimore Country Club's East course is a gem that stays way too far under the radar. 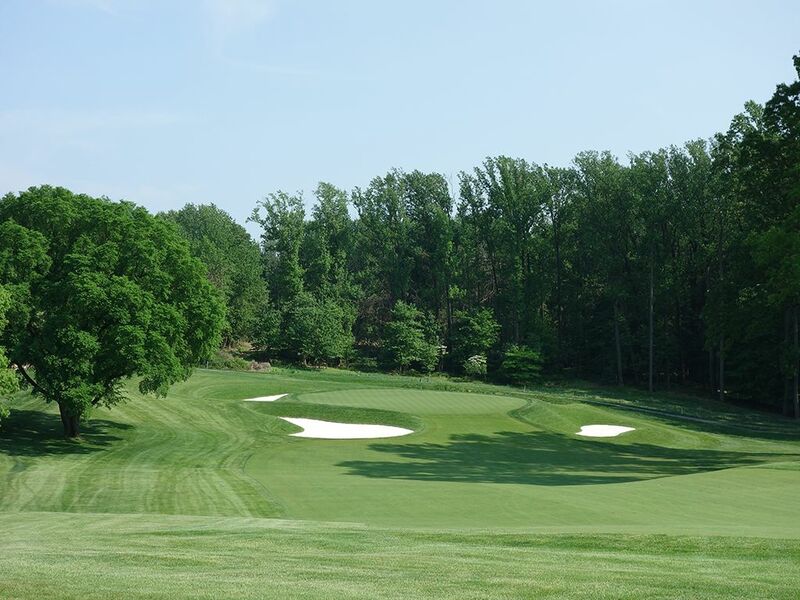 Keith Foster did a masterful restoration in 2015 that brought the course back to its 1924 glory and features sloping green, deep white sand bunkers, and some of the best turf conditions you will find anywhere in the country. When you roll a putt on these greens, you'll get exactly what you deserve as the ball stays true to its line from start to finish which is imperative when navigating the challenging slopes you'll encounter. The property is a wonderful blend of rolling hills and trees that add to the experience rather than encroach on it thus leaving the playing corridors uninhibited. The hole designs are a smorgasbord of options with doglegs left and right, uphill and downhill holes, and traveling in every direction the compass offers. As good as the front nine is, the back nine amps it up even further with a set of holes you'd never tire of playing. 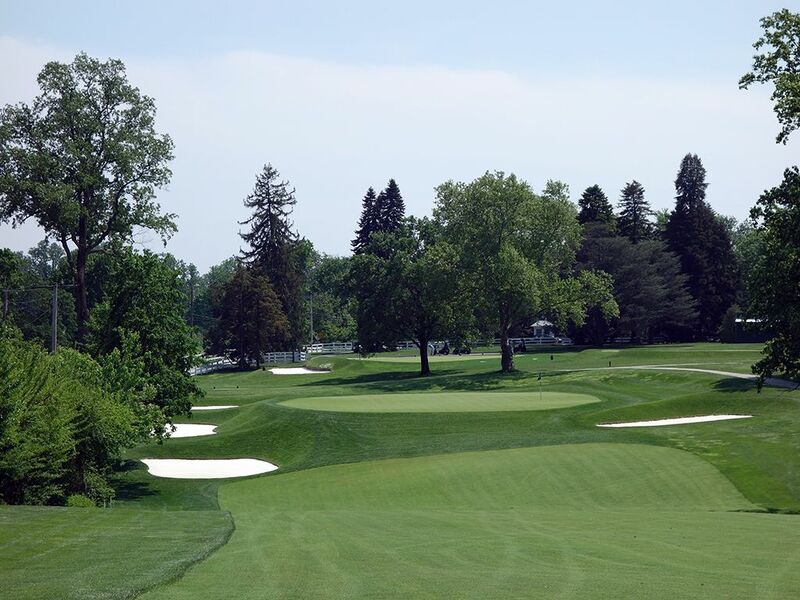 In classic championship style the course doesn't feature a lot of quirks; just solid design features where the hazards are apparent and the line of play never deceiving. You'll have the option of taking a cart and forecaddie or walking with a club-carrying caddie during your round and the amount of cart paths is pleasantly limited throughout the course. 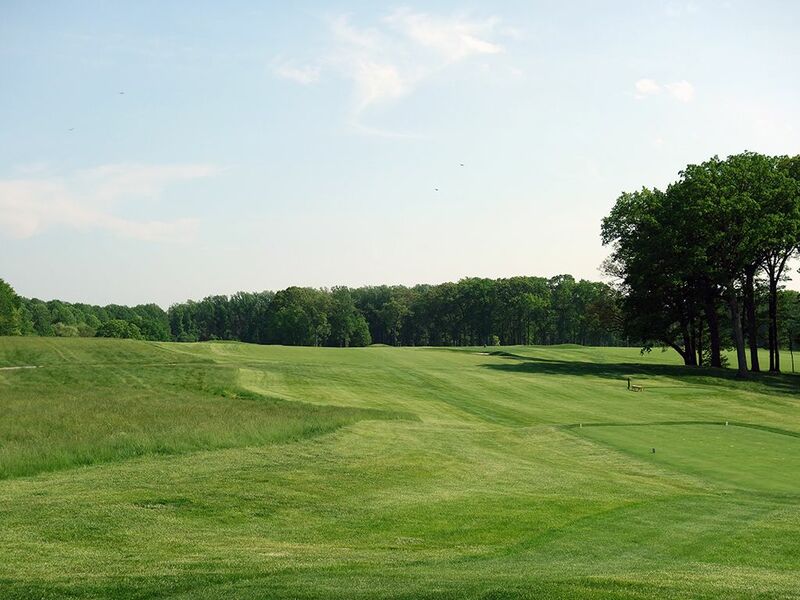 There are some courses you enjoy playing once, but Baltimore Country Club is the type of course you'd love to play everyday. 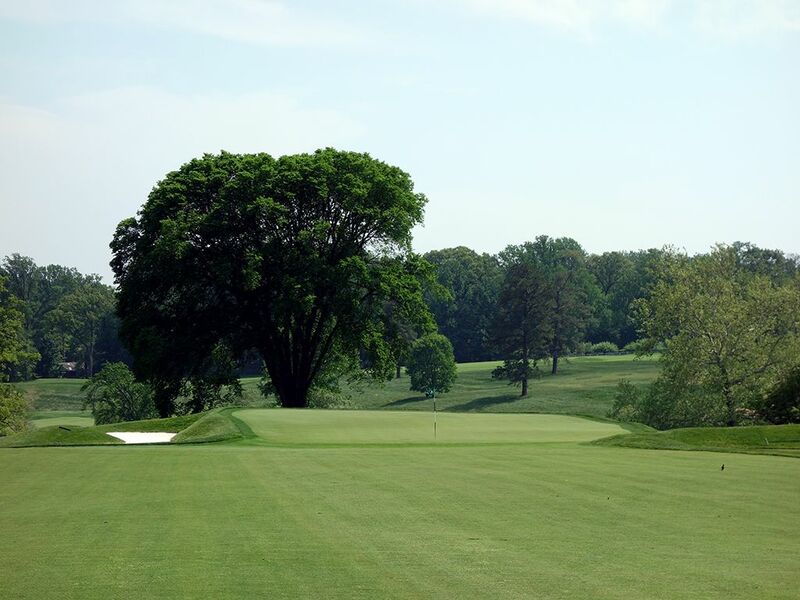 Signature Hole: 6th Hole – 586 Yard Par 5 – Known as "The Barn," the 6th hole is one of two par fives at Baltimore Country Club's East course and is a great risk/reward design. 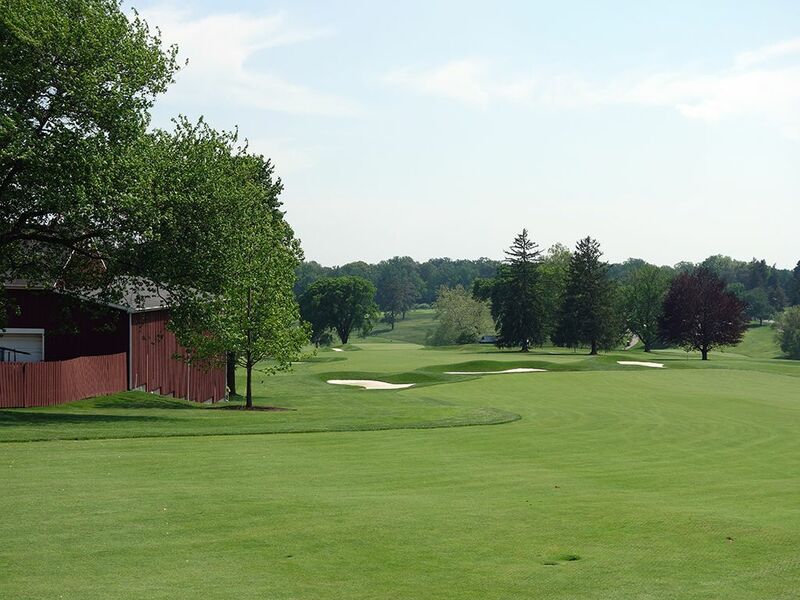 The bold play is to take a rip over the barn (260+ yards of carry) that sits on the corner of this downhill dogleg left which if successfully done will leave an iron into the green and a great chance of setting up a putt at eagle. Not clearing the corner or having your snap hook rear its ugly head at the wrong time will result in going out of bounds so you better have confidence in your ability to succeed if you try to clear the dogleg. The safe tee shot out to the right greatly reduces the chance of reaching the green in two and brings the cross bunkers into play on the second shot. The approach shot into the green plays downhill so you'll want to take some yardage off the actual number and take into account the firmness of the fairways and putting surface when calculating the distance to play. The sides and back are protected by bunkers but the front is receptive to aerial or ground shots. Like all great par fives, the options on the 6th hole and strategy involved make it a great design each time around the course. 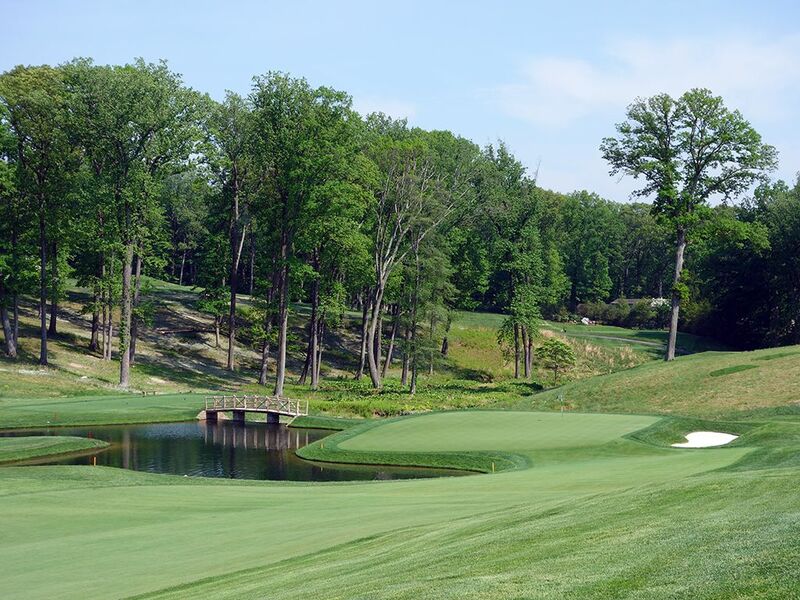 Best Par 3: 17th Hole – 238 Yards – The final one-shotter at Baltimore Country Club is a long and challenging offering that requires a carry over a small ravine with a creek meandering through it in order to find the putting surface. Appropriately named "Picturesque," this scenic hole is framed by trees on either side of the green and bunkers that hug the putting surface while views carry on in the distance. 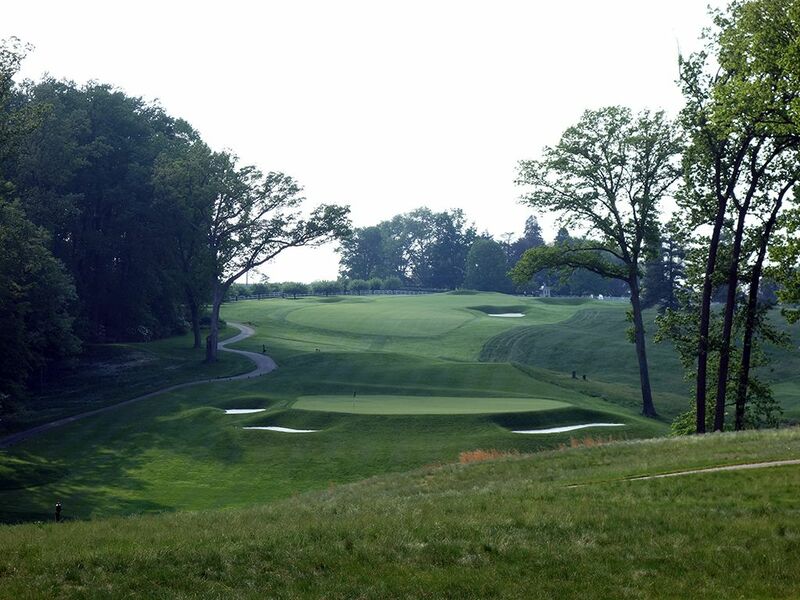 Whether it is match play or stroke play, this is a great par three to offer up late in the round. Best Par 4: 10th Hole – 457 Yards – The back nine starts with a proper par four that will test every aspect of your game. You'll need length off the tee to set up a decent length second shot which is where your accuracy gets tested. The approach shot plays from a right-to-left sloping fairway to a green that is fronted and flanked on the left by water. If you end up in the bunker right of the green trying to avoid the water, your finesse skills will have to rise to the challenge with a tough sand shot with water lurking behind the green while the putting surface runs off the front. It's a beautiful golf hole that is equal parts challenge and fun; what more could you ask for? 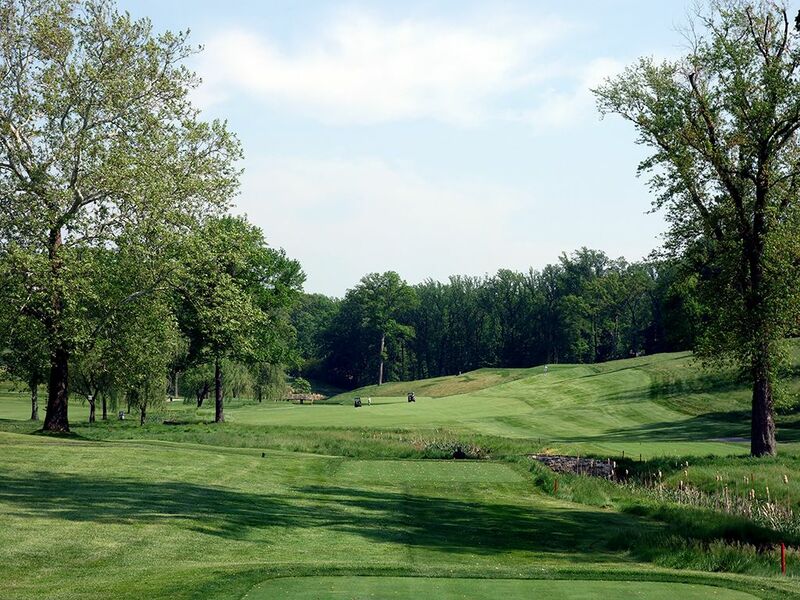 Best Par 5: 14th Hole – 607 Yards – The second of two world class par fives, Tillinghast puts players on a lowered tee box that offers a semi-blind tee shot to a fairway that boasts fairway bunkers on each side of the driving zone. If you miss the fairway you'll be faced with a challenging second shot from the lengthy rough that needs to carry the famed "Hell's Half Acre" Sahara bunker that encompasses the entire fairway 225 yards from the green and spans over 150 feet. 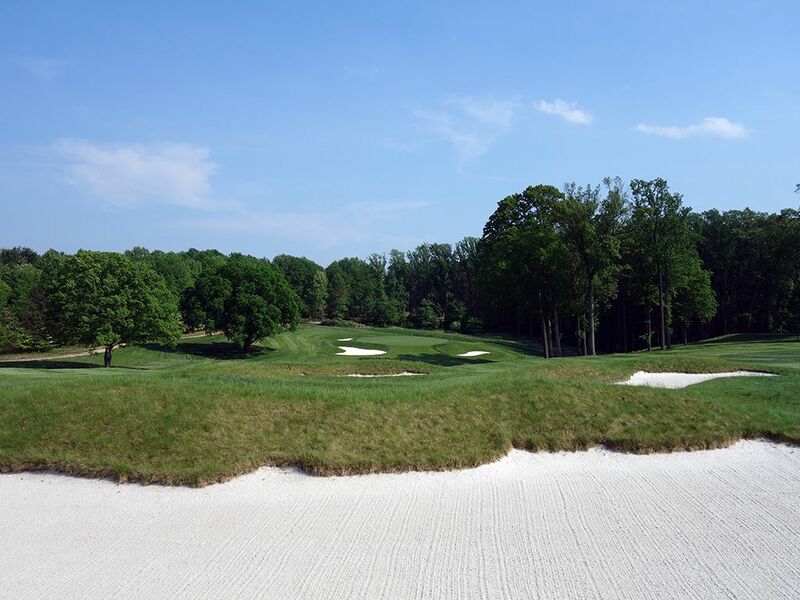 The approach shot plays down a natural slope to a beautiful raised greensite with a trio of white bunkers complimenting the deep green grass and trees. Here at the southeast corner of the property, the feeling is a bit surreal as you take in how great of a golf course you are engaged in. Birdie Time: 4th Hole – 157 Yard Par 3 – At a course full of challenging holes, the short 4th offers reprieve and a chance to throw a deuce on the card. The easiest green to hit in regulation, the large Eden-like putting surface is raised above the deep bunkers and stands as a relatively easy target to hit if you don't get too greedy with tucked pin locations. 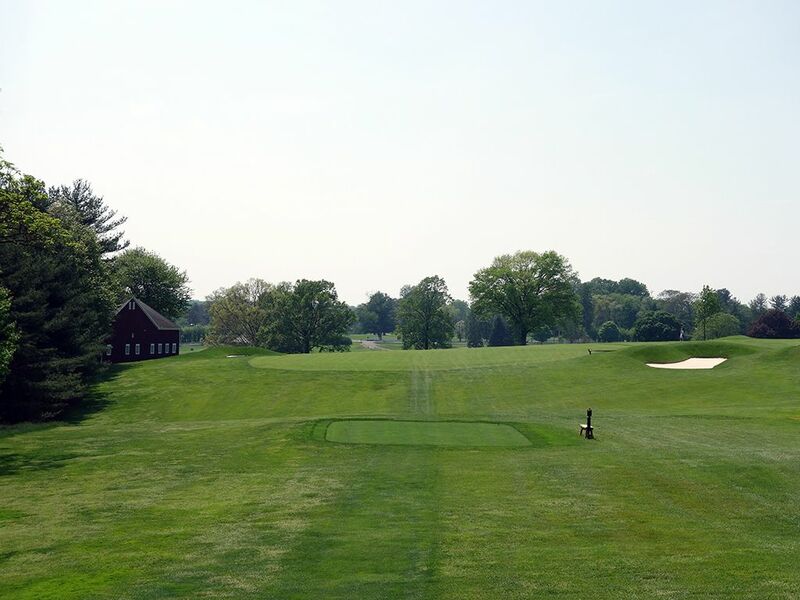 With a green in regulation within your grasp, the only question at this point becomes whether you've adjusted to the speed of the immaculate putting surfaces found at Baltimore CC because you will certainly get a true roll. Bogey Beware: 2nd Hole – 496 Yard Par 4 – At nearly 500 yards, the par four 2nd is as testing of a hole as you'll encounter on the East course so you better be on your 'A' game early. The fairway provides a fair amount of width and the hole plays steadily downhill, but that is where the generosity ends. Tee shots that hang out to the left can find themselves in a row of hedges, or worse, out of play altogether. Tee shots that slice right will encounter the challenging rough and the possibility of tree trouble to navigate enroute to the green. Speaking of the green, the severe right to left tilt is an absolute bear to navigate not only while putting but also with the angle of your approach shot. If laying up or missing the green, the testing chip shot needs to stay below the hole while maintaining enough aggressiveness to not let the putting surface simply cast you away from the pin location without regard.